Keep your little one relaxed and comfortable as you dress them up in this full sleeves tee and lounge pant set from Babyoye. 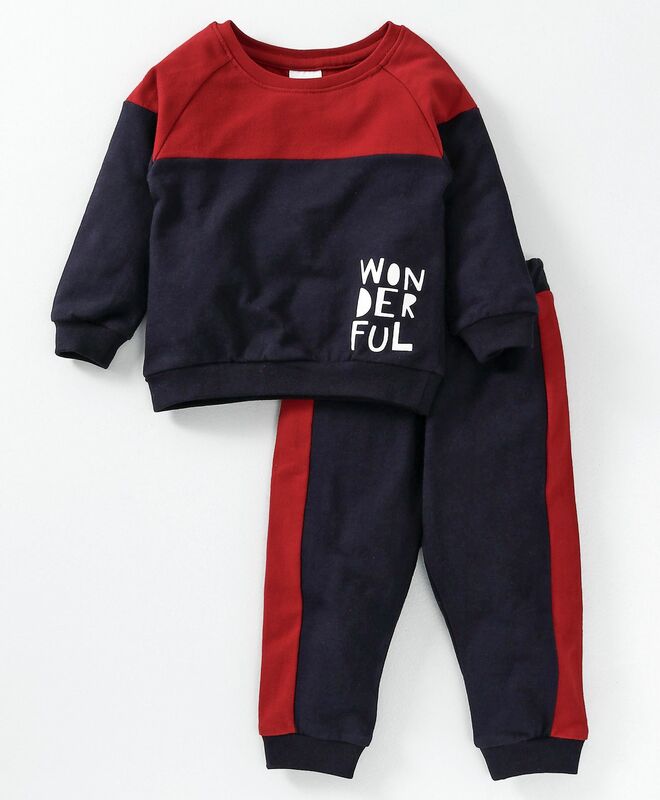 Cute "wonderful" on solid colour and lounge pant makes an attractive set. Made of soft fabric, this set will keep your kid comfortable all day long. I bought this for my baby whose still not 18 months old and my baby is actually not a chubby boy but still this set has already become small for him. Though the quality is ok ish but always go in for a bigger size and another minus point is the print on the t shirt is of rubber printing so ironing of it requires very precision.